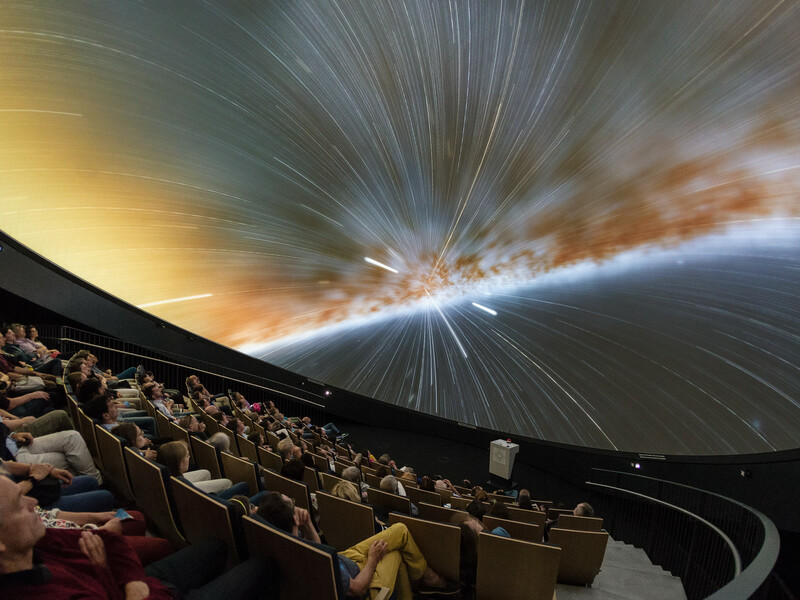 A view from inside the planetarium at the ESO Supernova Planetarium & Visitor Centre, which opened its doors to the public on Saturday 28 April 2018. 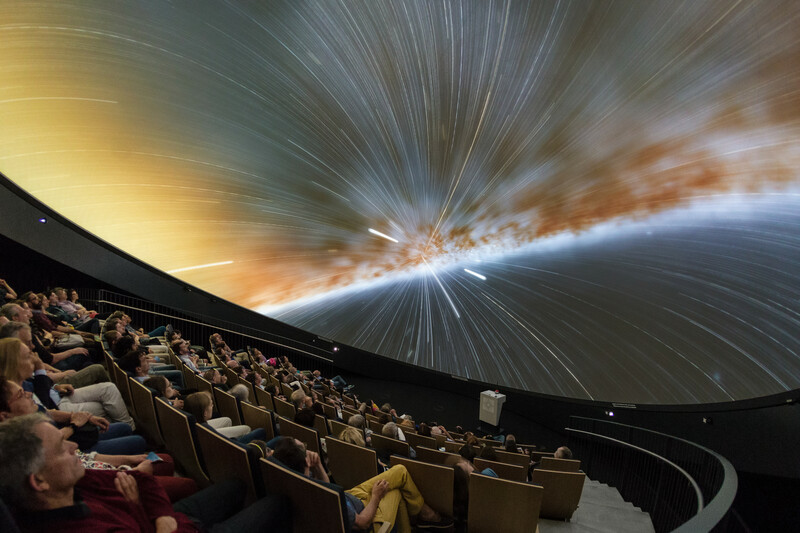 The building is open five days a week and features planetarium screenings, tours and a permanent exhibition in both German and English. The 25-degree tilted planetarium dome does not just give the audience the sensation of watching the Universe, but of being immersed in it. 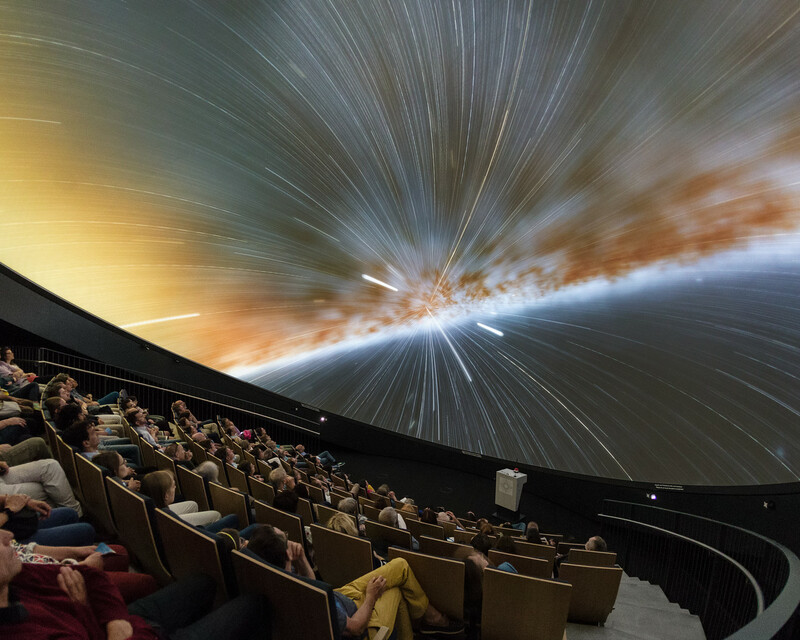 The stars turn into streaks of light as the audience is hurtled through space and time.